Pierate - Pie Reviews: Best Manze? As part of the my challenge to eat pie for every meal in British Pie Week (see all 21 pies in the summary article) I paid a trip to a very special pie shop in London. 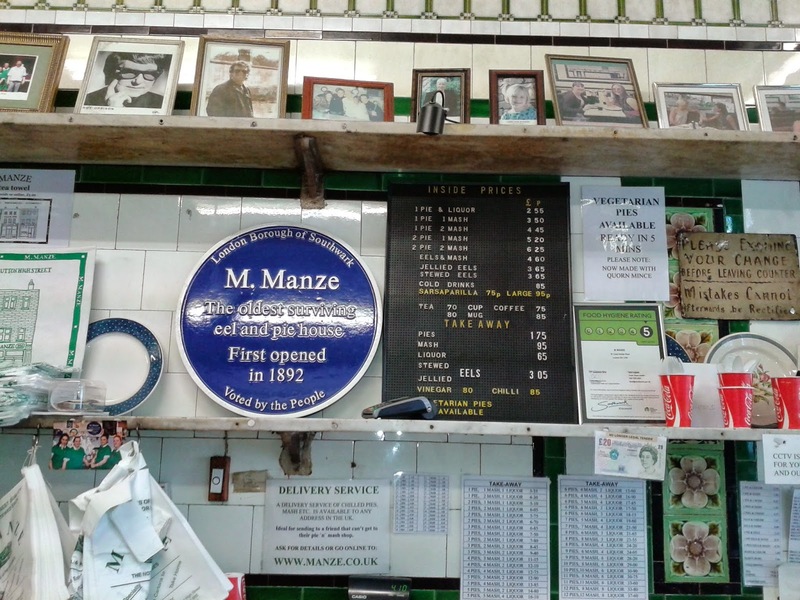 This was the M. Manze pie and mash shop on Tower Bridge Road, the oldest surviving pie and mash shop in the country. It opened in 1892. This certainly was a traditional London Pie and Mash Shop, serving pies in the traditional way with a parsley 'liquor' alongside the minced beef pies. See our article on Pie & Mash Shops to find out what makes these places so unique. The visit was at lunch time on Day One of the challenge. Watch the video below from 3:28 to see the review in action and, among other things, an interview with Matthew Rippon who gave his opinion on the importance of preserving such establishments. Matthew also interviewed Pierateers SJL and RAS in M. Manze which can be heard on his blog. Firstly, apologies for incorrectly stating that the liqour was made with eel stock, M. Manze have informed us that they no longer do this as it ensures that the liquor can also be eaten with their vegetarian pies (although some places do still use eel stock). But what did I think? This pie slipped down very well despite the fact that I wasn't really hungry, I always think this is a good sign. There was barely a need to Chew with the pie at all. 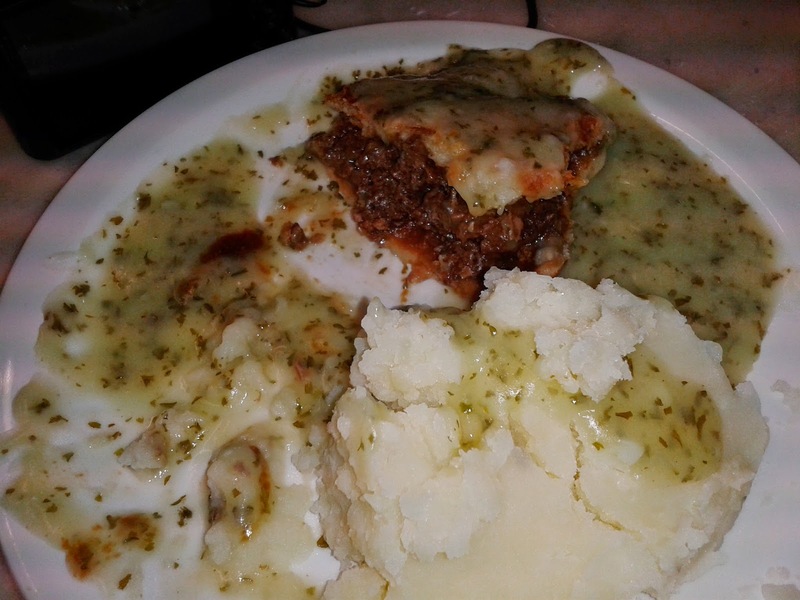 I don't think I enjoyed it in it's optimal Condition because I let the pie get cold with all the filming but still it was very well presented in the traditional manner and a great contrast of Colours. The pie was nice and soft with the classic puff pastry found at these pie and mash shops. The Capacity was small, as is always the case with these oval shaped pies, however, it was packed with meaty Content with a great beef stock, making giving the pie a satisfying meaty flavour. The liquor was great, not at all suffering from dry parsley syndrome as the Goddard's sauce I had recently did. Overall there was perhaps not as much seasoning with this meal as there was with the recent Eel House Pies, I would have liked more. What was a real winner for this pie was the outstanding value. These traditional pies are normally cheaper than more gourmet alternatives but M. Manze was Cheap even for pie and mash at just £3.50. This is despite being walking distance from Borough Market. Many thanks to M. Manze for being such good hosts and letting us set up camp there for so long! Does Bowkett's get my supreme pie vote? Bring Me a Nice Pie and Make it Snappy!